The Florida Supreme Court issued an order Thursday requiring the state’s circuit courts to hire magistrates to hear foreclosure cases in an effort to clear a docket-clogging backlog of hundreds of thousands of files. The order was in response to recommendations made by the Foreclosure Initiative Workgroup, a committee of judges and court administrators that formed in January. Magistrates are common in family court, but are rarely used in foreclosure actions. Typically, they will make recommendations on how to rule on a case, which is then signed off on by a judge. According to Thursday’s ruling, foreclosure court magistrates will be appointed by chief judges, must be members of the Florida Bar and cannot practice law of the “same case type” in the county or court where the magistrate serves. Some foreclosure defense attorneys criticized the move, questioning whether the magistrates will have enough substantive knowledge of the law to handle foreclosure cases and how they will be held accountable since they are not elected as traditional judges are. But others said it could be good for homeowners who may get a more thorough hearing before a magistrate than by a senior judge overwhelmed with cases. “Folks in foreclosure may get a more meaningful review since there are more people available, but that’s providing they hire qualified magistrates,” said Sen. Darren Soto, D-Orlando, who has asked Gov. Rick Scott to veto a fast-track foreclosure bill approved this legislative session. As of February, there were an estimated 358,000 foreclosure cases pending in Florida’s 20 circuit courts, according to the 55-page report from the foreclosure workgroup. It is predicted an additional 680,000 cases will be filed by 2016. 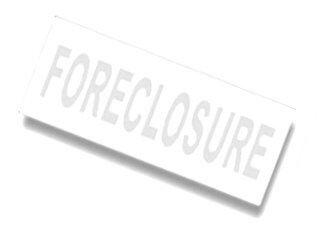 Palm Beach County’s pending caseload of foreclosures stands at 30,272. Broward County has the highest backlog of cases with 42,992. Miami-Dade is second-highest with 41,681. Most courts already use senior judges to hear foreclosure cases, but the workgroup said senior judges are in limited supply and are required by law to wait one year after retirement before returning to work. Another “fundamental” problem identified by the workgroup was the lack of urgency on the part of banks to move forward with foreclosures. Thursday’s order allows for homeowners to object to the use of a magistrate in their case, but they must file that objection within 10 days of being served.